Darach MacKenzie vowed never again to let a woman near his heart after his betrothed betrayed him. 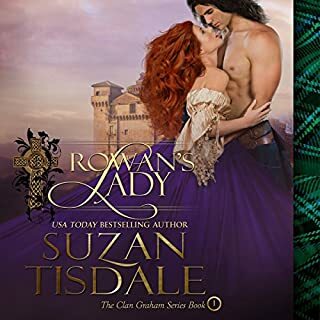 It sparked an intense feud between his clan and the Frasers, and now he can't be distracted - not even by a sweet and charming lass who desperately needs his help. This Highland Laird will find a way to have both. 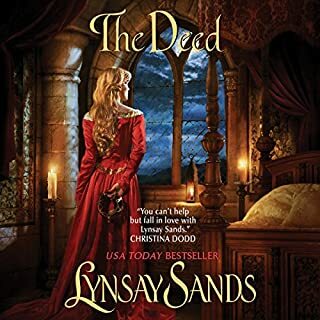 When Darach rescued Caitlin MacInnes from the clutches of vile Laird Fraser, she vowed to never let men or misery rule her life again. With Darach and the MacKenzie clan, Caitlin finally feels safe. 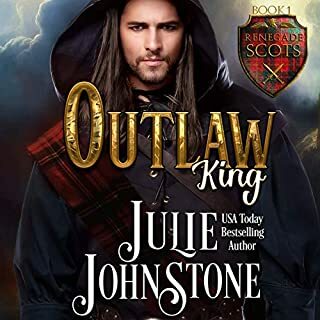 But when Laird Fraser shows up to claim what's rightfully his, or go to war, Darach will have to use all his brawn and brains to protect Caitlin - even if it means losing his heart. The story structure and characters were well done. The heroine, however, wasn’t simply naive but bafflingly decisive in her incorrect understanding, leading to selfish decisions right to the end. For example, after an argument caused by her actions, Caitlin decided to flee the safety of a friendly place in the midst of a heavy storm in the dead of night. So in pitch darkness amidst unfamiliar terrain, she chooses to get soaked through while heading in the vague direction of an unknown foreign country where she knows no one. Rosalyn Landor was her usual fantastic self and the only reason I eventually made it to the end. First book I’ve read by Alyson McLayne and I loved it!! Many other reviewers tagged Caitlin as too dumb but I think she was wily and smart in her innocence. She was sheltered as was the case in her time but I loved her innocence and pure goodness. Another book narrated by Ms Landor is always a wonderful thing- great job!! The performance was great with the different voices. The main character it's too naïf to be true, the clansmen participation is secondary. Tradicional story with marriage, man older than woman, man expert and woman innocent. Nothing new. 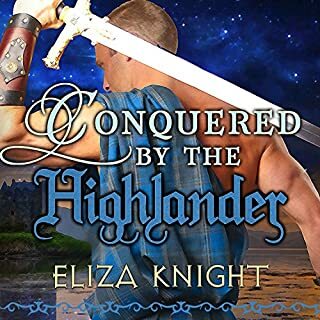 I enjoyed the premise of this book very much: 5 children, one from a different clan, raised as brothers with the promise that each one would return to their clans as Lairds. This strategy was brilliant as it forged a bond and alliance between the brothers as each would support the others when needed. I especially enjoyed the banter between the brothers as it seemed genuine. Great first book in the series! 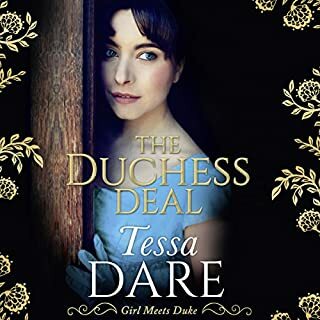 I loved the way that Caitlin, the heroine, was funny without knowing she was funny but I got to where I detested her choices half way through the story. She is an infuriating character. If Rosalyn Landor is narrating it, it is usually worth the read and this is no exception. Another poor defenseless woman is treated as a subhuman. Will it ever end? 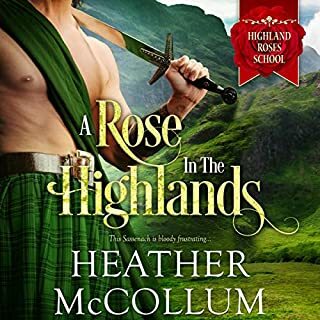 This was one of the best romance audio books I've listened to. I loved the story and the characters. I was sorry when it was over and I can't wait for more Alyson McLayne books to follow. Now, excuse me while I go listen to it again. i don't think I've done that before. Darach was doomed from the beginning. Caitlin was very naïve and innocent, but you must remember her circumstances. The book was good from the beginning. Rosalyn Landor is an outstanding narrator. Can't wait for book 2. Caitlain was a sweet character but too naive to be believable.. Heroine was almost to stupid to live. There were a lot of things I liked about this story: Rosalyn Landor's performance, the family ties all the lairds who were raised together had, the H was not clueless. But, the h was supposed to be very naïve - so naïve that she was stupid. Always getting into trouble (but never her fault), lying through her teeth when she was caught, and generally acting like she was 13, not 20. My response was often a laugh, but followed by an eye roll and a groan. I finished the book, but won't listen to it again. I downloaded this book purely because of the narrator but even Rosalyn Landor couldn’t make the heroine of the story sound smarter. Caitlyn is a classic air-head. There’s nothing between her ears. I couldn’t even bring myself to finish the book.